New coffee roasters Cà Phê Roasters expects to open next month in Kensington. A pop-up exhibit at 600 Spring Garden St. is hosting the city's newest and first Vietnamese coffee roaster for the next three weeks. 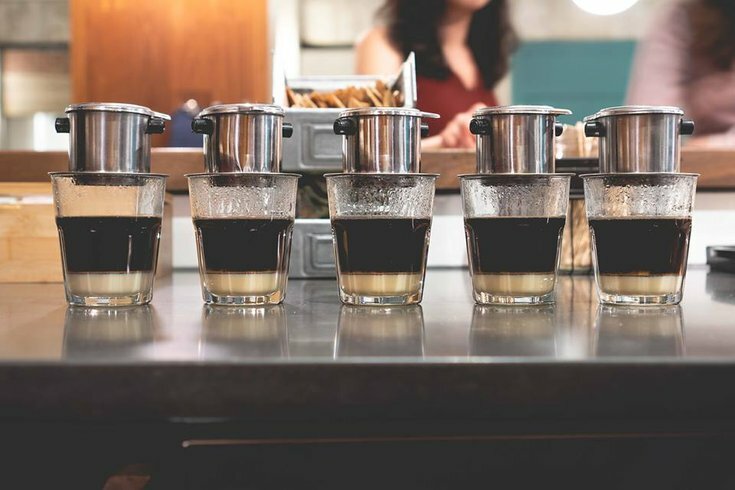 Cà Phê Roasters is a coffee roastery that uses bold, dark coffee beans all the way from Vietnam — paired with condensed milk — for its cups of caffeine. Philly Mag first reported that the new coffee kid on the block will open its doors next month in Kensington in Maken Studios at 3525 I Street, in conjunction with the Kensington Avenue Storefront Challenge. The pop-up, featuring an interactive multi-faceted exhibit called "A Dream Deferred" about modern-day redlining by Little Giant Creative until Nov. 17, opened in September. Cà Phê Roasters will join the pop-up for just the last three weeks of its run. The roastery got its start through the Kensington Avenue Storefront Challenge, which awards new businesses and business owners with free rent for a year, financial support and technical assistance in the Kensington neighborhood. Cà Phê Roasters was selected as a winner in December 2017, and is hoping to kick-start its work in its newly-acquired physical space in the next month or so, according to Philly Mag. We are honored to have had the opportunity to share our coffee roastery’s story with our supporters at @generocity! Thank you to @shift_capital, our many investors, our @12plus community, and @littlegiantcreative for believing in our mission and providing support every step of the way. Together, we will make great strides in the revitalization of our Kensington neighborhood. Special thanks to Grace Shallow for capturing this photo. Link to the article is posted in our bio! And Philly Mag also reported the business is going to be supporting some social justice causes with its pop-up proceeds, some of which will go toward 12+, provide career training and use its new space for neighborhood events and programming.